Fugitive billionaire jeweller Nirav Modi was denied bail in a London court on Friday, following his arrest last week by British authorities on charges over his alleged involvement in a $2 billion fraud at India’s state-run Punjab National Bank. The 48-year-old Modi, who denies the charges, faces the possibility of extradition to India where Prime Minister Narendra Modi is under pressure to take a firm stance on the case ahead of national elections in April-May. “I find that there are substantial grounds to fear failure to surrender,” magistrate Emma Arbuthnot said in a Westminster court, adding that the fact Modi had in 2017 applied for a visa to the Pacific island nation of Vanuatu exacerbated those concerns. A witness has alleged that Modi threatened to kill him and also offered around 2 million Indian rupees ($28,918.45) as a bribe not to testify, Toby Cadman, a lawyer representing the Indian government, told the court. Fugitive businessman Nirav Modi has been arrested in London. The arrest comes 17 months after the fugitive buinessman Nirav Modi fled India. 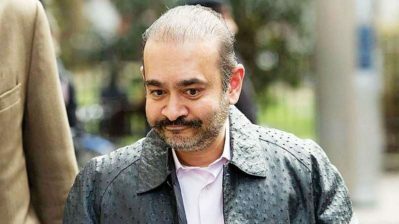 After his arrest, Nirav Modi will be taken to a London court. Sources have told India Today that extradition proceedings of Nirav Modi will start soon. Astrology Speaks again . Inspite of the Fact that I had no birth time I had Predicted the exact Date for his getting into deep waters the 18th March 2019 when the South Node Ketu In Transit was on his Natal Venus Degree-wise and age in the Multiple of 9 My Research of Rahu and Ketu Transit proves on dot. Articles written on this Fugitive Buisnessman are as follows.